Since its release in the middle of the year, I’ve been nibbling away at Jon Peterson’s monstrous 720-page history of wargaming, “Playing At The World.” Peterson’s book takes the broadest swipe I’ve yet seen at tackling the true history of games. 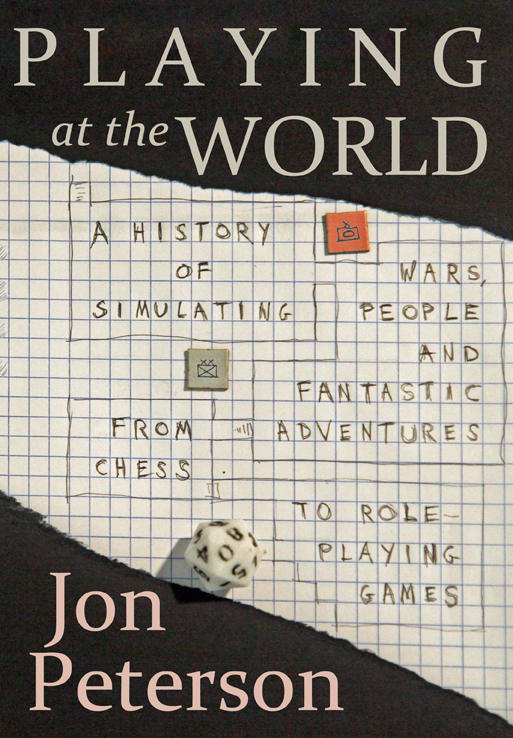 His opus work covers ancient games in Egypt to the early development of chess, 18th and 19th century Eastern European wargaming, the rise of simulations in the colleges and think tanks of Cold War America and into the birth of Dungeons & Dragons and eventually video games in the latter part of the 20th-century. The book is daunting, and only for the true scholars of gaming. Whole chapters are devoted to concepts of randomizing results in gameplay, the rise of miniatures wargaming with toy soldiers (with early support by the likes of H.G. Wells and his book “Little Wars”), basic concepts of fantasy character development and the minutiae of gaming mechanics. The latter half of the book focuses on how a small group of gamers in Wisconsin, led by the now-famous Gary Gygax and David Arneson, created the worldwide sensation that became D&D in the late 60s and early 70s. As both a gamer and historian, my love for this book flows from its slow-building narrative that firmly places the importance of games in worldwide culture. With immense detail, Peterson clearly shows games not to be the often-maligned pastime of nerds and misfits but an important device through which we’ve developed our modern worldwide approaches to military policy, economics, international diplomacy and social interaction. The book is certainly enough on its own, but Peterson also runs a blog which adds insight into his ongoing research. “Playing At The World” is such an achievement of singular vision, and I highly recommend it for anyone who is interested in how we play beyond the four corners of our gaming tables. Never heard of that book. Looks an interesting one to pick up, especially for game designers. Thanks for the interesting post. I clicked on your link to Vintage Wargame and he has a review of this book that he wrote without having read it. There is a funny clip of Blackadder too. Blackadder is never off-topic, not even in a review of a book about role-playing games. I’m just sorry I didn’t have space to do a chapter about cunning plans. Thanks for the positive notice, Kimber.